The most awaited epic battle of mutants in “X-Men: Apocalypse” is about to unfold on the big screen on May 17, Tuesday in (midnight screening) selected cinemas – Alabang Town Center, Greenbelt 3, Glorietta 4, Trinoma, SM Aura, SM BF, SM Fairview, SM Light Mall, SM Mall of Asia, SM Marikina, SM Marilao, SM Megamall, SM Molino, SM North Edsa, SM Southmall, SM Clark, The Block, Century Mall, Commerce Center, Eastwood, Evia, Newport, Starmall Taguig, Uptown, Abreeza Davao, SM Cebu, SM Lanang and Gaisano Davao. In “X-Men: Apocalypse,” we find our favorite group of mutants in 1983, dealing with more than just the fashions of the time. An ancient, powerful and extremely angry creature named Apocalypse has awakened after millennia spent slumbering, decided that our civilization is too corrupt to survive and must be destroyed so he can restore proper order. Charles Xavier must rally his young students for the fight of their lives against not just Apocalypse, but also his powerful Four Horsemen, one of which just happens to be Erik “Magneto” Lensherr. 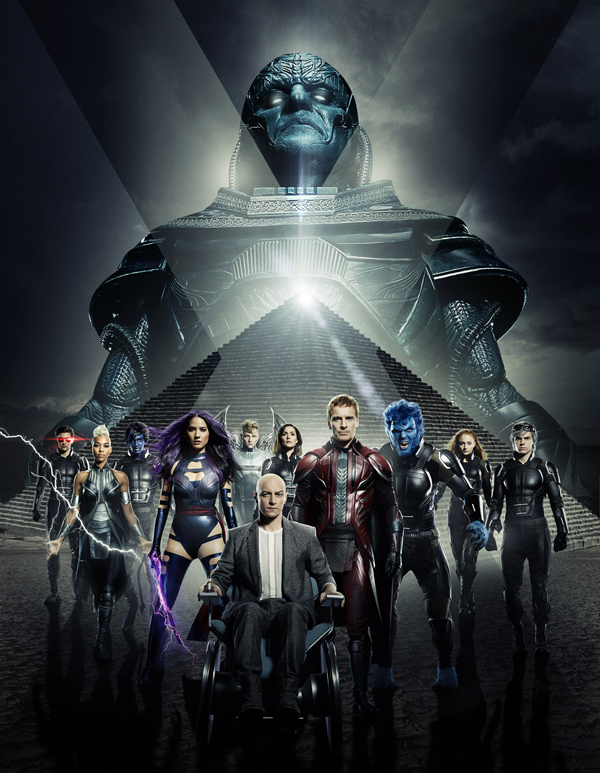 Opening on May 18 nationwide directed by Bryan Singer, “X-Men: Apocalypse” stars James McAvoy as Charles Xavier/Professor X, Jennifer Lawrence as Mystique/Raven, Michael Fassbender as Erik Lensherr/Magneto, Oscar Isaac as Apocalypse, Olivia Munn as Psylocke, Alexandra Shipp as Storm, Ben Hardy as Angel, Sophie Turner as Jean Grey, Tye Sheridan as Scott Summers/Cyclops, Nicholas Hoult Hank McCoy/Beast, Evan Peters as Quicksilver, Kodi Smit-McPhee as Nightcrawler, Lana Condor as Jubilee and Rose Byrne as Moira McTaggert.